Lou Forman played basketball at West Philadelphia High School and then starred at Dickinson College in Carlisle, Pennsylvania. 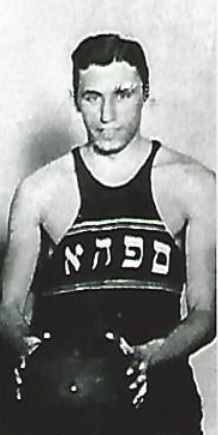 Forman was the starting center for the Philadelphia Sphas for four seasons, until he lost his starting spot in 1932 to Moe Goldman. Forman was a good defender and capable scorer. He was never a star, but he was important part of the great SPHAS’ teams of the early 1930’s. Forman once played an entire game with a broken jaw after being slugged in in the face in in a scuffle under the basket. Louis D. Forman Born: Aug 5, 1906 Died: May 24, 1988 Hometown: Philadelphia, Pa.